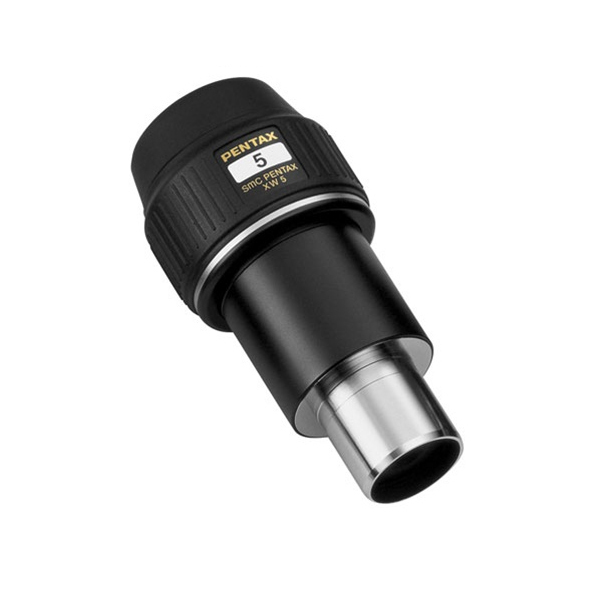 The Pentax Eyepiece SMC XW-5 Tube offers a 70 degree field of view for easier viewing. All of our eyepieces are constructed with a high-refraction, low-dispersion lanthanum glass that consistently delivers bright, high-resolution images with minimal distortion. In addition, all XW series eyepieces are built to JIS Class 4 weather-proof standards which increases their durability in less than ideal conditions. Designed for use with a wide range of telescopes and PENTAX brand spotting scopes, the XW series eyepieces are a clear choice for ground and astronomical applications.